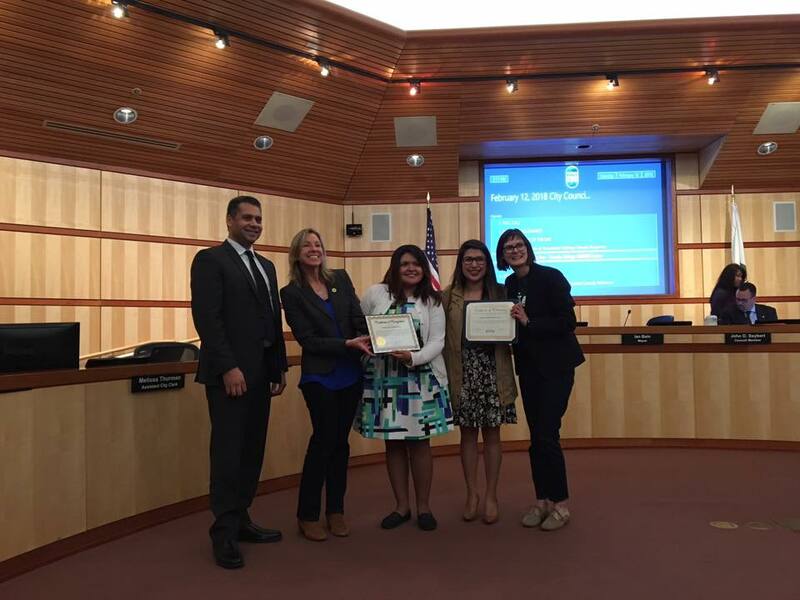 On February 12, Redwood City Mayor Ian Bain presented The DREAM Center team with the Welcoming Star award at a City Council meeting. The award was given by Redwood City Together, which gives the quarterly award to shine a light on and lift up programs in Redwood City and North Fair Oaks that are excelling at creating a welcoming environment for all in our communities, especially immigrants. In attendance were Professors Julie Carey and Kristen Park, Dream Center Staff Assistant Brenda Martinez and Cañada College alumna Adriana Fernandez.